Welcome to the new DisGeek.com! 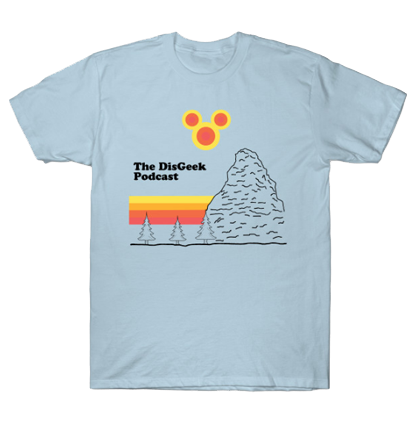 When we first started The DisGeek Podcast some 7 months ago I was really anxious to get going. I had a computer, I had a microphone and I had a topic. I just needed a place to put it all together. Luckily, I just happen to be a web designer by trade. So I was able to whip up a site pretty quickly without much thought put into it. It was pretty much your standard blog and I knew that it wasn’t exactly what I wanted. But I figured I would see how the show progressed and go from there. Well, now is the time. To make a site that reflects our personality and has more more Disneyland feel to it. After all it is a Disneyland podcast! Now when we want to feature a post we have a new slideshow instead of a little thingie on the side. You can now listen to the latest episode right from the homepage (as well as the individual episode post). And we can put our latest video right on the homepage as well. It’s less bloggy and more newsie. Walt Disney has always said that Disneyland will never be complete as long as there is imagination left in the world. I have the same philosophy when it comes to the website. I’ll always be tinkering with it and trying out new ideas. If there is something you think would be cool, let me know! Thanks and enjoy the new site!